Do you know a healthcare professional wanting to learn more about feeding issues in the NICU? 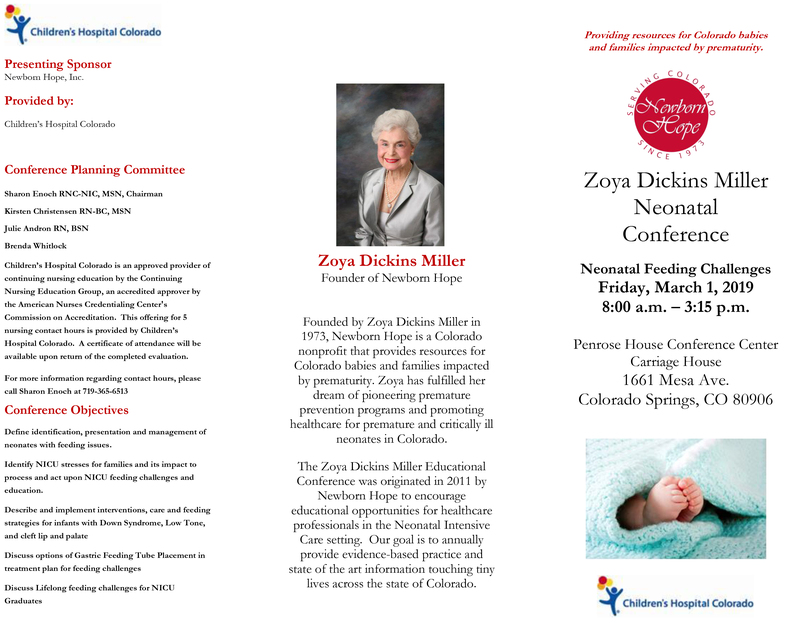 Our Zoya D. Miller Perinatal Conference is Friday, March 1st, at the Penrose House Conference Center in Colorado Springs. Continuing Nursing Education credits are available. Register soon, seats are limited. 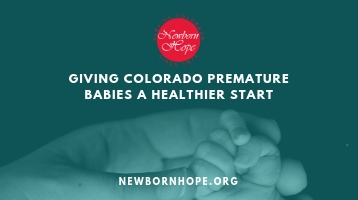 Specialists will speak on the newest evidence-based practice information about feeding micropreemies, babies with Down Syndrome, babies with cleft lip and palate. New evidence will be shared about supplementing breast milk for increased calories with human milk products instead of cows milk products, and the emotional issues faced by moms when their babies are having feeding issues. It truly is the steep hurdle to get out of the NICU.